Greater Cincinnati Water Works has offered a program to reduce the risk of lead in drinking water for several years. From a public health and safety perspective, it is important to remove the risk of lead that may exist in home plumbing systems. The health effects of lead in drinking water can be detrimental and exposure affects everyone —however, infants, young children and pregnant women are especially vulnerable to brain and nervous system impairment; reduced growth, development and learning; and behavioral problems. To reduce this risk, GCWW created a Lead Service Line Replacement Program (LSLRP) to replace lead service lines throughout the system. Property owners are responsible for paying the cost of replacing their private (customer) side lead service line. The cost to replace a single lead service line may be several thousand dollars. 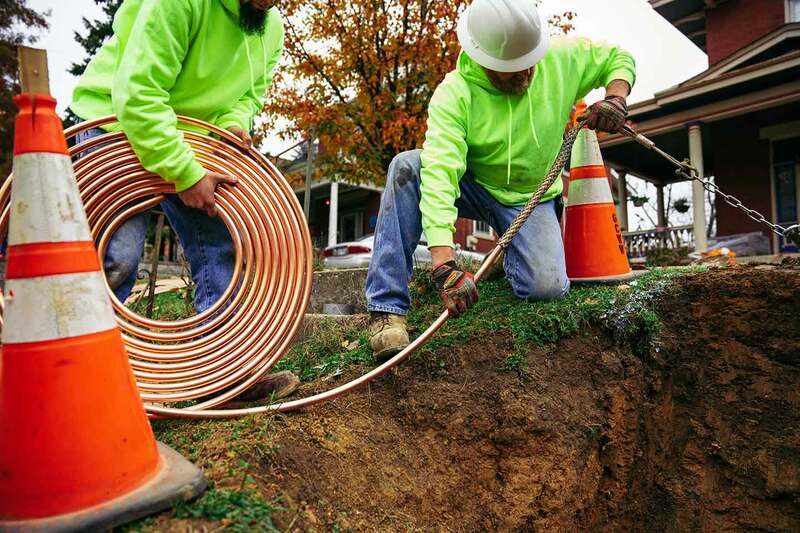 Recognizing the cost burden, GCWW has committed to assisting property owners with a cost-sharing solution for the cost of replacing the lead service line on their property. However, some property owners still need additional assistance. Therefore, Greater Cincinnati Water Works (GCWW) offers a customer assistance program to qualified property owners for the cost of their private (customer) side Lead Service Line (LSL) Replacement. This program is known as the “Help Eliminate Lead Pipes” program (HELP). HELP provides a one-time cost benefit for private (customer) side LSL Replacement. The one-time cost benefit will be applied as a credit on the LSL Replacement final bill from GCWW. There will be no cash payment of any kind to any recipient of HELP assistance. The HELP Program assists eligible customers by reducing the cost of lead service line replacement. The HELP Program is funded solely by contributions from employees, customers and the community. Select the link below to start your monthly donation to the HELP Program. Your donation will be used to help reduce the cost of line replacement for qualified low-income property owners. Available funding for the HELP Program is limited and will be distributed to qualified applicants on a first-come, first-serve basis. Therefore, applications to verify if you qualify should be submitted as soon as possible after your contract is finalized. GCWW will continue to assist qualified applicants as long as funding remains available. Select the link below for more information and to print your application for the HELP Program. Your application will be reviewed, and GCWW will be in contact with you.